With the school break comes summertime. Since the kids will be at home all day long for most of the time, getting the home ready is something we can't do away with. Travel is a good option during summer, but for those who have to stay home, there are ways to keep the mood happy throughout the day. Electrolux offers some tips to get your home prepped and ready for summer so you and your family and friends can kick back and enjoy the sunny days. 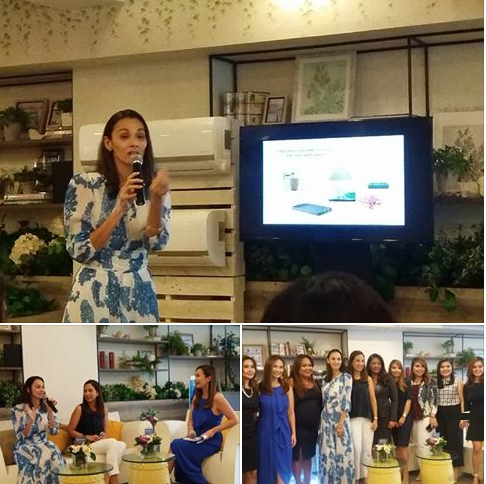 At the Make Your Home Summer Ready launch last March 29, Electrolux Philippines presented tips on summer home design, cleaning and organizing the home, and shared news on its latest appliances designed to help make your homes #ElectroluxSummerReady. Electrolux Summer Ready Home guest speaker Amina Aranaz-Alunan, founder, executive director and teacher of SoFA Design Institute, and Creative Director of fashion accessories and bag label ARANÁZ, talked about hot trends in home decorating this summer. She shared iexecuon using colorful and stylish fabrics to create inviting spaces to sit and relax. Her DIY project ideas were helpful to moms in giving their homes a summer makeover. Janice Villanueva, successful mompreneur and founder of Mommy Mundo, shared her Summer Ready Home Checklist, with hacks on keeping the home clean and clutter-free and fun summer activities for the family. For the kitchen, Villanueva talked about the importance of cleaning out the refrigerator, including all compartments and interiors, throwing out expiring food and restocking on fresh food, including a mix of different kinds of foods that kids will like. She advised moms to put these in easy to access containers so the kids can help themselves when they’re hungry. Hot and humid weather also means more allergens so moms should make sure to vacuum sofas, curtains, rugs, the bed and stuffed animals! Moms can even teach the kids to vacuum. 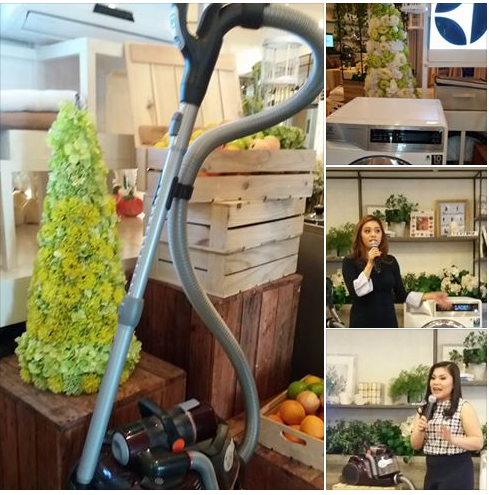 Aside from providing summer ready tips, Electrolux also launched their latest products that can help moms achieve a summer ready home. Electrolux, a global leader in home appliances and appliances for professional use, offer thoughtfully designed refrigerators, ovens, cookers, hobs, dishwashers, washing machines, vacuum cleaners, air conditioners and small domestic appliances. The NutriFresh Inverter Refrigerator keeps food fresh for up to 7 days, ensuring that families have fresh ingredients for healthier and more flavor. The Electrolux Cooking Range with Induction Cooktop and Electric Oven gives moms the advantage of induction and oven cooking at the same time. Induction is faster than other cooking technologies, boiling one liter of water in three minutes, allowing families to enjoy tasty meals in no time. It comes with Precise Temperature Control that allows one to go from high to low heat instantly so one never undercook or overcook again. You know the vacuum I'm looking for? It's that little square thing you can turn on and leave on the floor as it travels around your home, sucking all the dust it gets on. I forgot what it is but it's by Electrolux too, locally at least. I should really find me one of those. This is what I was looking for. I just moved it to the new apartment so I really need a lot of stuff for home, like vacuum or washing machine. This post came quite in handy for me, I needed some good recommendations on that matter. Thanks a lot for posting!